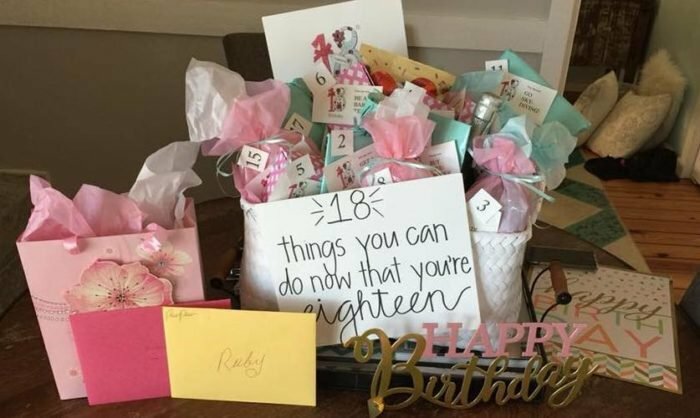 Here are all the things teens can do when they turn 18. It is a big moment. Your teen turns 18 and suddenly people start throwing around the word “adult” in reference to someone you very much think of as a “kid.” But deep down, once the candles are blown out and you have shed a tear or two, we all know that things are changing, really changing, and that this may be the biggest birthday of them all. 30. Be the only one home when a service repair person needs to enter the home. 50. Move out of their parents’ home. Some things have changed about turning 18. But the one thing that hasn’t changed and, that probably never will, is that at 18 or 80, they are still our babies; they drive us insane but we wouldn’t have it any other way.